The ReSeduction Method is a gold mine of cutting-edge strategies for reversing a breakup. It covers the subtle, little-known techniques that make a huge difference in getting your ex back. Tactics that simply work, like flipping a light switch. There are also psychological triggers that work in every woman.... if you use them in the right context. Sounds sci-fi… but this is for real. 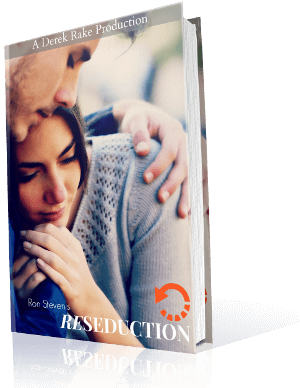 If you're on the verge of breaking up with your woman, or if you're missing your ex and you want her back in your arms... make sure you click here now and secure your copy of the ReSeduction. You must have NO moral objections to using covert (and slightly shady) tactics on women, and you promise NOT to use these techniques in an unethical manner. Click on this button below only if you agree to the above. PS: If you are one of the guys who are out to seek revenge on their ex girlfriends and wives, then this is not for you. When you buy this product, you agree NOT to use the knowledge in this resource to harm women in any way. PPS: Your purchase is protected by the standard DerekRake 60-day money back guarantee.